Trinfinity8™ represents a new quantum shift in the emerging science of algorithmic rejuvenation technology. This unique software program was developed as a direct result of information brought back from a near death experience by Dr. Kathy Forti. Trinfinity8 is the first system of its kind to use a personal computer to deliver non-invasive rejuvenation programs based on mathematical codes, vibrational energies, and fractal formulations that are in harmony with core energetics that encompass all of nature. Trinfinity8 leads the way in using pure quartz crystal rods to directly deliver information to the body in a language it understands—math. 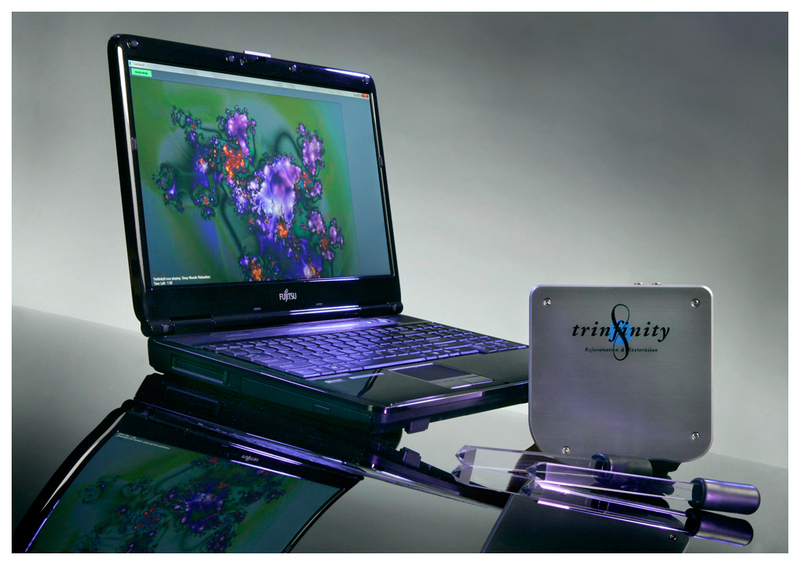 Trinfinity8 is the first energetic device developed for both the PC and MAC user which is based on mathematical algorithms. Quantum science understands that all of nature is influenced by numerical sequencing, with patterns that resonate and repeat in cycles of time. The ancients referred to it as “Sacred Geometry” (the basis of natural logarithms) and saw it mirrored in all of nature. They revered it by incorporating it into their most ancient of monuments. The Egyptians used it to build the pyramids with exacting precision; the Greeks used it in the Pythagorean science of vibrational energies. They saw it as the common master science by which individuals could tap into the forces of the Divine by joining the physical world with the sacred spiritual world. Scientists today are once again rediscovering the field of Sacred Geometry, of Divine pattern—the same key patterns the ancients used to bring all things into manifestation. Trinfinity8 is designed on this ancient principle, yet it’s more than a personal cosmetic device. It is a holistic digital interface which allows users to access their ideal vibrational self—making it a spiritual tool for positive vibrational change. Trinfinity8’s unique technology allows for streams of coded data to be transmitted through your computer’s USB port. 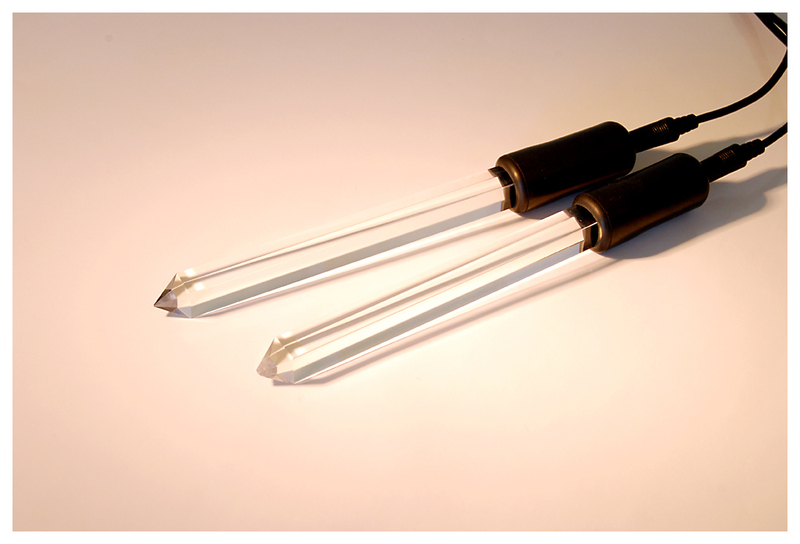 A digital translator device then sends information to the body via specially designed hand-held quartz crystal transmitter/receiver rods. These crystals have been carefully lab grown for clarity and perfection. Many Trinfnity8 users report feeling subtle energy effects during use such as hand tingling, skin hydration, warmth, and a deep meditative calm. Interestingly, over 60,000 the same type of lab grown quartz crystals used in Trinfinity8 are used in Hadron Super Collider in Cern, Switzerland to measure electromagnetic photons. Even science knows that quartz crystals are transmitters of information, as found in almost all electronic devices. 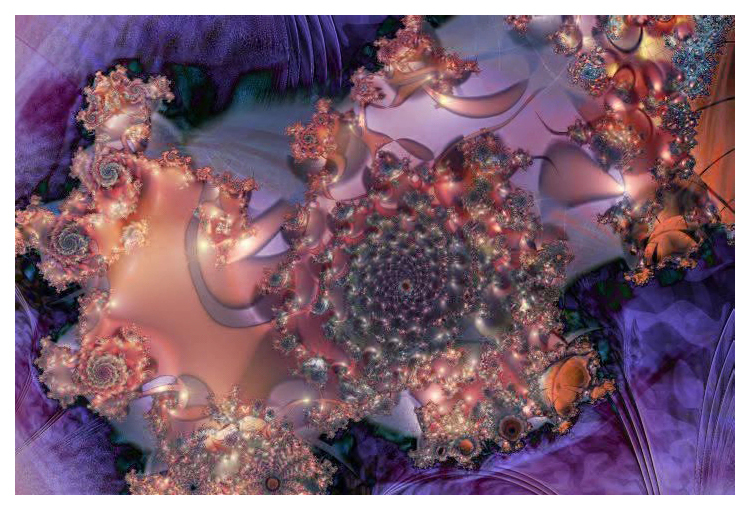 Trinfinity8 uses a uniquely designed fractal resonator that displays a gallery of beautiful geometric animations during different programs. (A fractal is a geometric shape that can be split into billions of parts, each of which contains an exact copy of the whole.) This fractal resonator amplifies the energetic and mathematical codes for the most powerful remedies, rejuvenators, and body elixirs that have been digitally imbedded into Trinfinity8 to maximize the desired effect. Trinfinity8 also incorporates Solfeggio sound tones to enhance healing and transformation. These pure sacred tones have been used since ancient times to awaken a natural expansion of consciousness in order to bring about transformation. In Trinfinity8, the tones act as a carrier wave to further strengthen the transmission of digital data to the cellular system. This helps bring about a faster reprogramming of the body and the desired positive change. Trinfinity8 users have a choice of several other music selections developed to awaken, energize, and maximize their experience. Trinfinity8 is designed to increase awareness and to assist the individual in attaining a state of self-balance while working to restore vitality. Once to twice weekly sessions of 30-60 minutes is ideal. Results may vary depending on the individual and frequency of use.